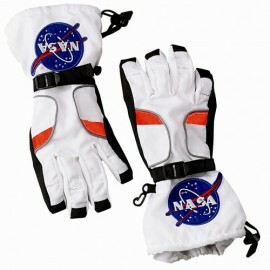 Astronaut space gloves - spacekids - space toys, dressing up costumes, kids spacesuits, astronaut food, cool space stuff! 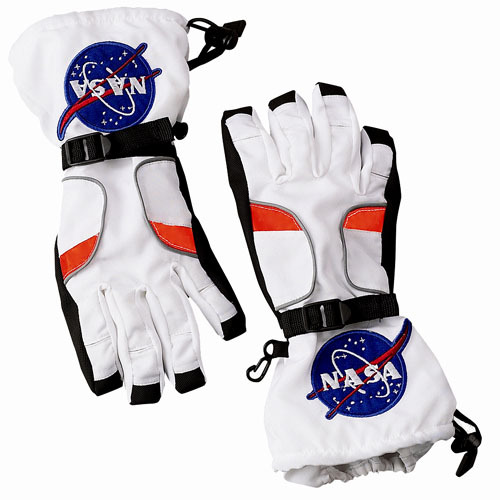 Official looking gloves with NASA patches. The gloves feature a textured palm for easy grip and an elastic inner cuff.